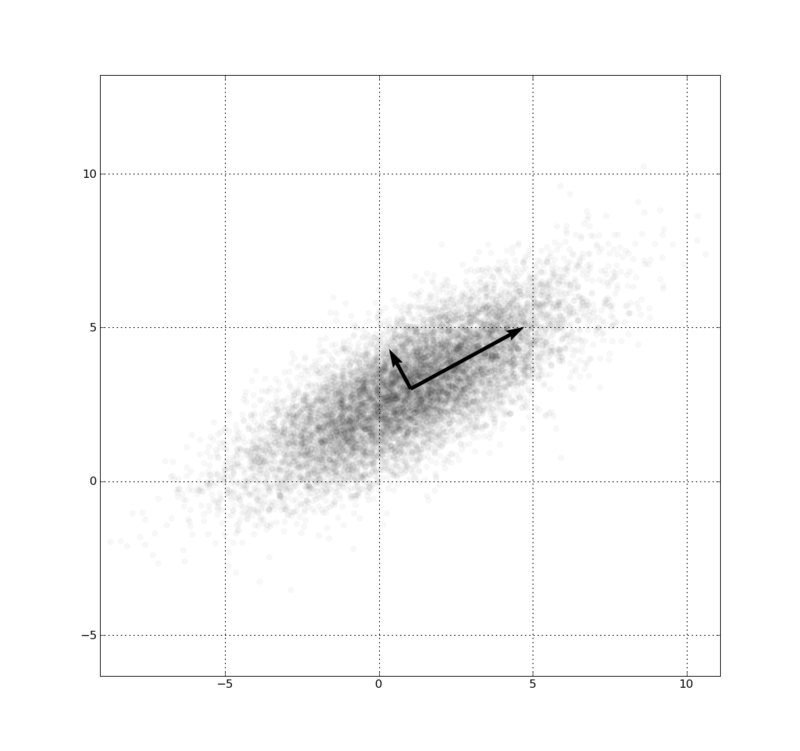 Recently I’ve seen a couple nice ‘visual’ explanations of principal component analysis (PCA). The basic idea of PCA is to choose a set of coordinates for describing your data where the coordinate axes point in the directions of maximum variance, dropping coordinates where there isn’t as much variance. So if your data is arranged in a roughly oval shape, the first principal component will lie along the oval’s long axis. My goal with this post is to look a bit at the derivation of PCA, with an eye towards building intuition for what the mathematics is doing.